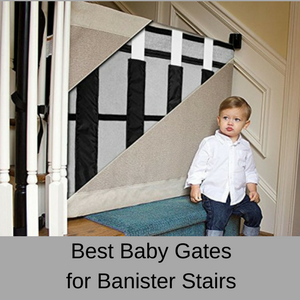 Looking for the best baby gates for stairs with banisters? 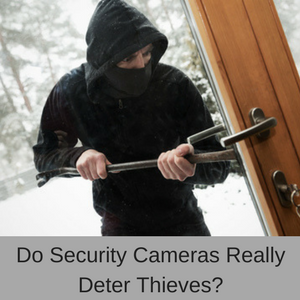 When you have a new baby or toddler, one of the most important parts of your life is to keep them safe in the home. 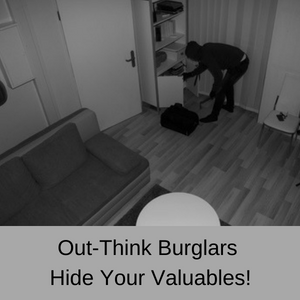 We all know that you can’t be everywhere and you don’t have eyes in the back of your head, but there are some things you can do to keep your little ones safe at home. Installing one or more baby gates for stairs with banisters will ensure that your young children don’t take a tumble and injure themselves on the stairs. Baby gates for stairs however, aren’t always easy to locate, because most of the baby gates are pressure mounted, and you want something more secure when stairs are involved. So the baby gate for stairs that we have selected is for the bottom of the stairs only, but it is available in two widths and lots of great patterns. The Stair Barrier meets the General and Performance Requirements of ASTM F1004, Standard Consumer Safety Specification for Expansion Gates and Expandable Enclosures. Regular width: 36″ to 42″. Wide width: 43″ to 52″. Easy to install and assemble. Rolls to the side when not in use. Internal support stop the barrier being lifted up or pushed down. Works with any banister – volute, fluted or square. Range of plain and patterned fabrics. Indoor and outdoor – weather resistant. What’s so good about the Stair Barrier? 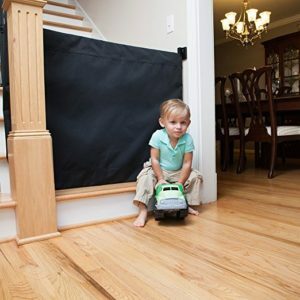 If you need a baby gate for stairs in your home, then the Stair Barrier is affordable, stylish and versatile. 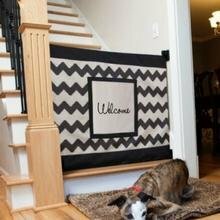 You can use it to keep your little ones away from the stairs and prevent the dogs racing up and down stairs as well. 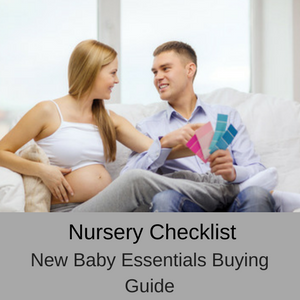 It is specifically designed to be used at the bottom of the stairs, not the top, and at 32″ tall is one of the tallest baby gates on the market. 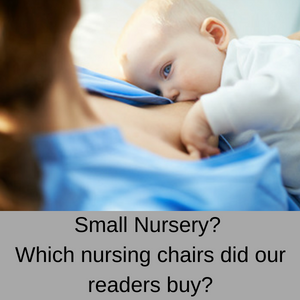 It’s also available in two different widths – regular (36″ to 42″) and wide (43″ to 52″) fitting, so it should fit most stairways in and around your home. Another great feature of these baby gates for stairs is that they don’t become an obstruction when you don’t need to use them. 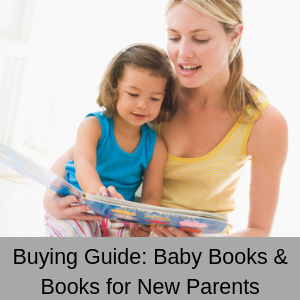 For example, many grandparents install baby gates in their home for when the grandkids visit. In between visits however, these baby gates can be a pain, because you have to keep opening and closing the baby gate all the time as you move through your home. 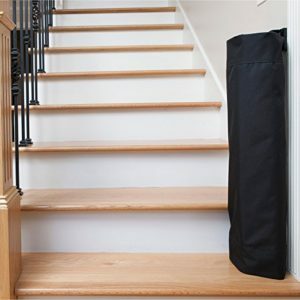 The Stair Barrier on the other hand, can just be rolled away against the wall when not in use and gives everyone a clear passage through your home. 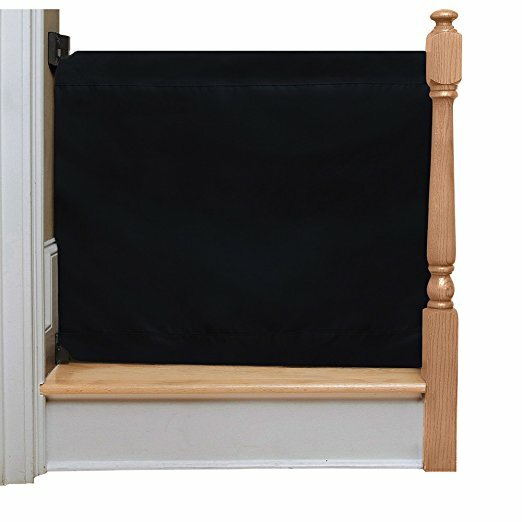 Yet another great feature of these baby gates for stairs with banisters – is that it’s weather resistant, so it’s good for indoors and outdoors. 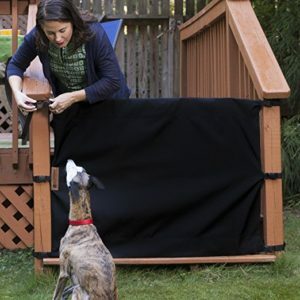 This means that you can install one of these baby gates for stairs as the bottom of your external stairs to stop the dog coming up on the veranda with muddy paws all the time! Inside each of these baby gates is a rigid internal webbing made from heavy duty polypropylene, which stops anyone from pulling up or down on the gate and dislodging it. The material also comes in a range of colours and patterns, so you should be able to match your decor quite easily. Last, the Stair Barrier is lightweight and can easily be taken with you when you are staying over at friends or relatives homes, as well as in holiday homes. 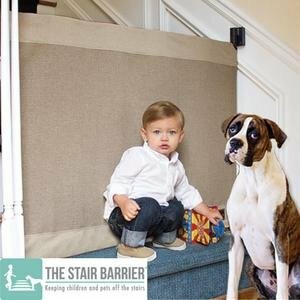 What do customers say about the Stair Barrier? Had such a hard time finding a gate for our spiral staircase, this one is exactly what we needed! Works perfectly for ours because the clips on the side extend and tighten up. Perfect solution for a spiral staircase! I really like it! It matches the carpet and looks classy. Easy enough to unstrap on one side and roll it to the other side when not needed. Really happy to have an option that doesn’t require any drilling or buying extra pieces to baby proof stairs. Expensive but works perfectly for our stairs that has uneven banister (bottom floor piece sticks out further than the rail) which has prevented us from using any other gate. We tried a few cheaper options and they just didn’t provide the functionality nor the aesthetics that this barrier does. It looks absolutely fantastic and matches our decor. 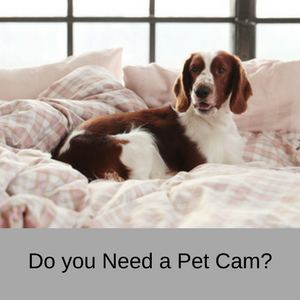 It is a pricey product, but worth every penny of the peace of mind that it brings. 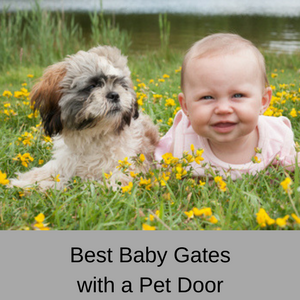 For around $120 this is one of the more expensive baby gates, but when you want a quality product that works well, sometimes it’s worth a little extra!